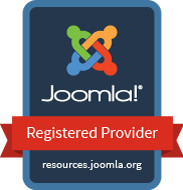 You have embedded youtube videos on your Joomla website? According to DSGVO / GDPR you have to inform the visitor about transfer of personal data. JMG YouTube DSGVO adds opt-in functionality to existing YouTube extensions. the plugin detects youtube videos on your website and lets your website visitor decide if he wants to load and view them, embeded on your website. You dont have to rebuild anything on your website.